A few weeks ago I finally jumped on the Washi Tape band wagon, & honestly can't believe I lasted so long without it. I use it on everything I can get my hands on. After finally taping most things in my house, including the dog's collar when I got bored... ahem, I decided that the wall above my workspace was a bit bare. 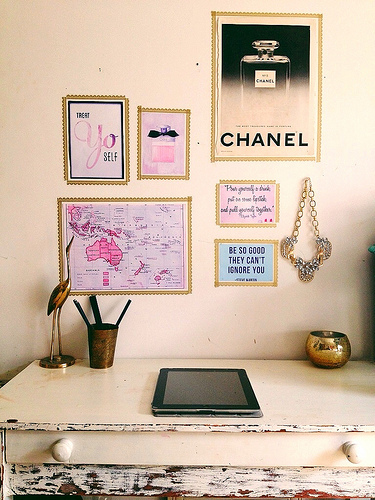 I rounded up some images & thought of the perfect way to frame them & I LOVE the result. 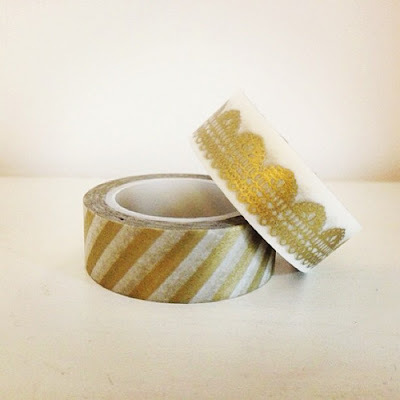 Washi Tape comes in so many colours & themes & is a very inexpensive way of making your day a little brighter. Can you tell I'm hooked? I recently bought a pair of short cowboy boots. I love them. 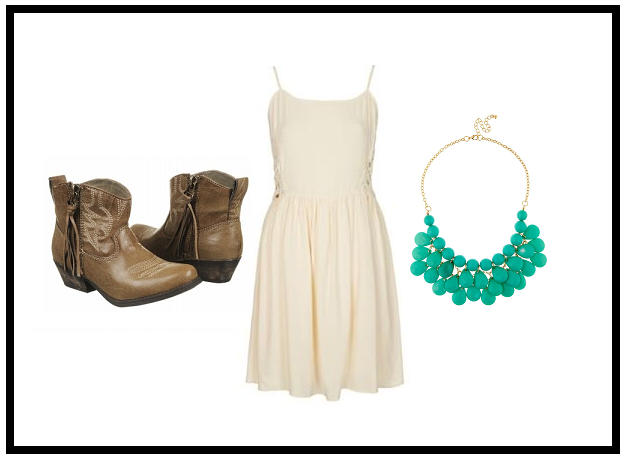 My favourite is them paired with a lace dress & a bright simple necklace. As I live in the countryside I find that they feel & look 10x better. I love how they can be casually paired with jeans, blouse & blazer & still look effortlessly chic! They are my new favourite summer purchase. Is everyone enjoying the heatwave? I'M GOING TO V FESTIVAL! my outfits are always simple for festivals as I prefer being comfy. I will be sporting my ever present Aviators & Hunter wellies. I went for a change this year & opted for the shorter boots. An aztec dress too make myself feel a bit more summery, some cute heartshaped glasses & of course a Bacardi Mojito!